I recently found a fun company called 9th & Elm. It is a company that features different handmade and independent products from different designers. They have jewelry, clothing and all different types of accessories. For my review, I was able to try a few different types of items. I was sent the Gertis & Baxter infinity scarf which I really like. It is a colorblock scarf and has several different colors on it. It is very lightweight which will be nice for spring and summer. I was also sent the Best Personalized Jewelry Gold Monogram Necklace. I love wearing gold and this necklace is simple enough to match with so many different types of outfits. It can be great for going out or to wear to work or church. I chose to have my initials put onto the necklace. I like how it turned out and think that it is a pretty good deal at $39 for the customized necklace. 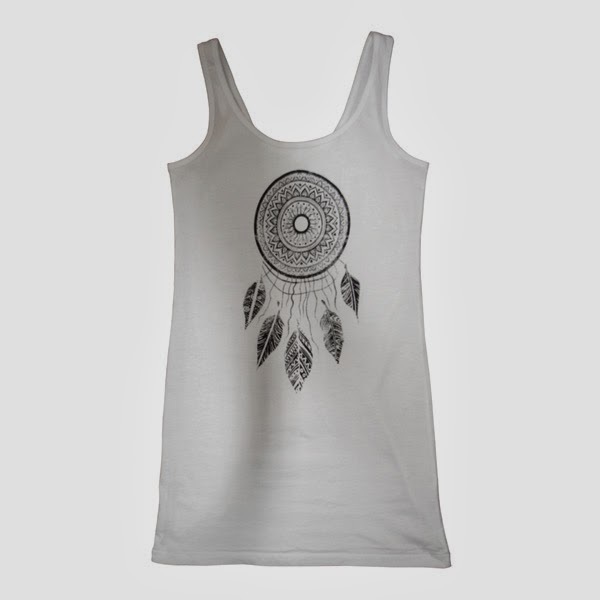 Finally, i was sent the dreamcatcher tank dress (which I would wear as a long top) to review. This is great for summer. I like the variety of products for women that 9th & Elm has to offer. They are affordable and I like that they bring in designs that are handmade and from independent designers.